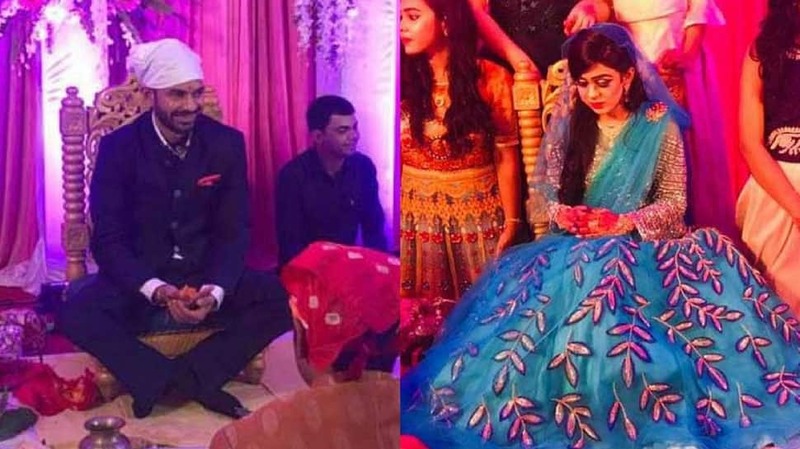 Rashtriya Janata Dal (RJD) leader Tej Pratap Yadav got married to former Bihar chief minister Daroga Prasad Rai’s granddaughter Aishwarya Rai at a grand ceremony in Patna on May 12, 2018. The high profile wedding caught many eyeballs and several pictures from the marriage ceremony went viral on the internet. The entire Yadav family and many politicos graced the event, making it a starry affair. So, let's take a trip down the memory lane to see how love blossomed between Tej Pratap and Aishwarya. 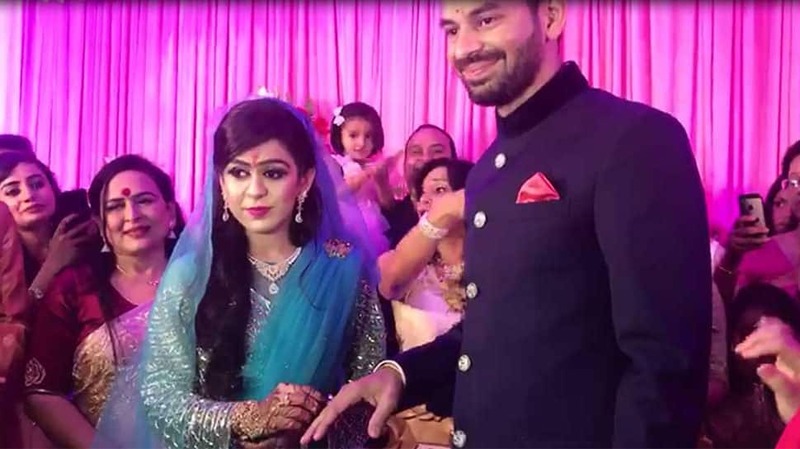 Rashtriya Janata Dal (RJD) leader Tej Pratap Yadav got married to former Bihar chief minister Daroga Prasad Rai’s granddaughter Aishwarya Rai at a grand ceremony in Patna on May 12, 2018. 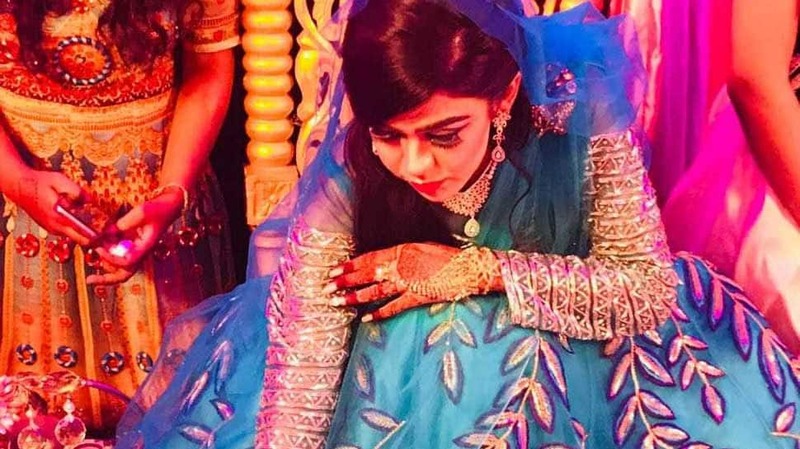 The high profile wedding caught many eyeballs and several pictures from the marriage ceremony went viral on the internet. The entire Yadav family and many politicos graced the event, making it a starry affair. 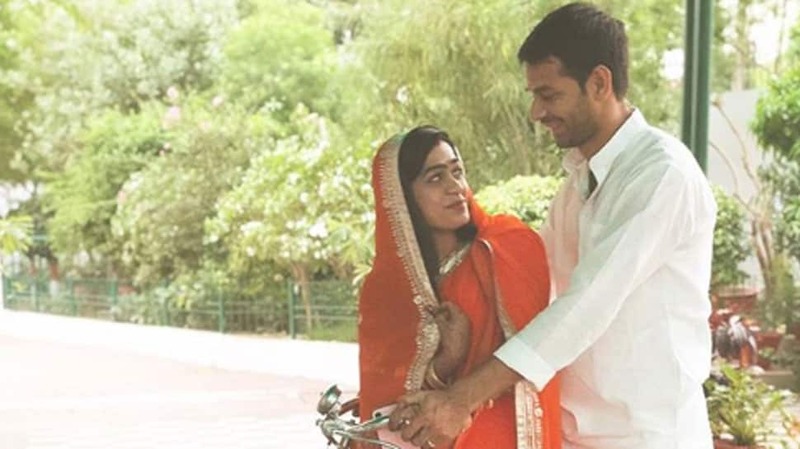 So, let's take a trip down the memory lane to see how love blossomed between Tej Pratap and Aishwarya. Tej Pratap Yadav, the elder son of Lalu Prasad Yadav and Rabri Devi, met Aishwarya Rai at Patna airport. 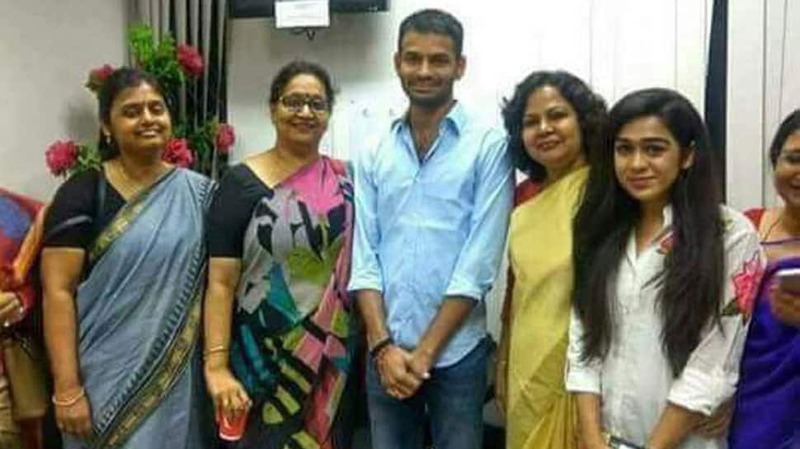 While Tej Pratap was returning to Patna from New Delhi after meeting his father Lalu Prasad, who was admitted at the All India Institute of Medical Sciences (AIIMS), Aishwarya was leaving for the national capital. The picture of the duo meeting at the VIP lounge of the airport went viral. Aishwarya can be seen busy performing a ritual during her engagement ceremony. She opted for a bright blue coloured dress. Take a look at the happy couple at their engagement ceremony. 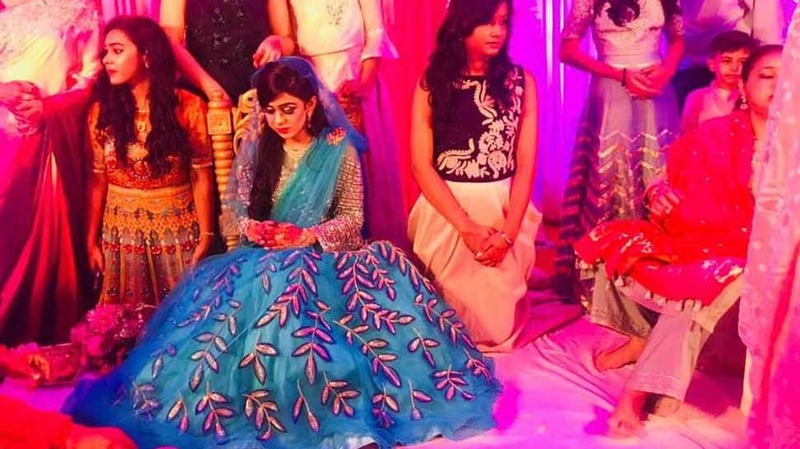 Aishwarya and Tej Pratap got engaged on April 18, 2018 at Hotel Maurya in Patna. The bride-to-be clicked during her engagement ceremony in Patna. The gorgeous Aishwarya can be seen all smiles for the man she got engaged to. The duo's happiness is visible from their glowing faces. 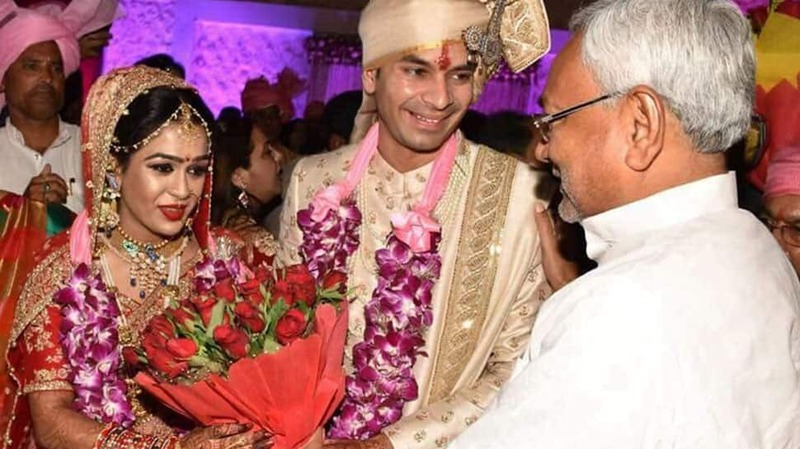 This picture was taken at the engagement ceremony of Tej Pratap and Aishwarya, which took place in Patna, Bihar. The groom can be seen dressed in a traditional off white-golden sherwani. 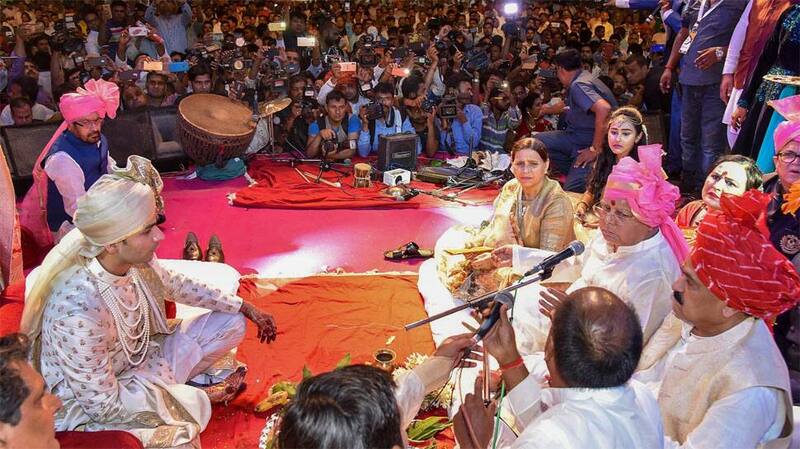 In the picture, the shutterbugs can't stop clicking the family members seated on the stage. 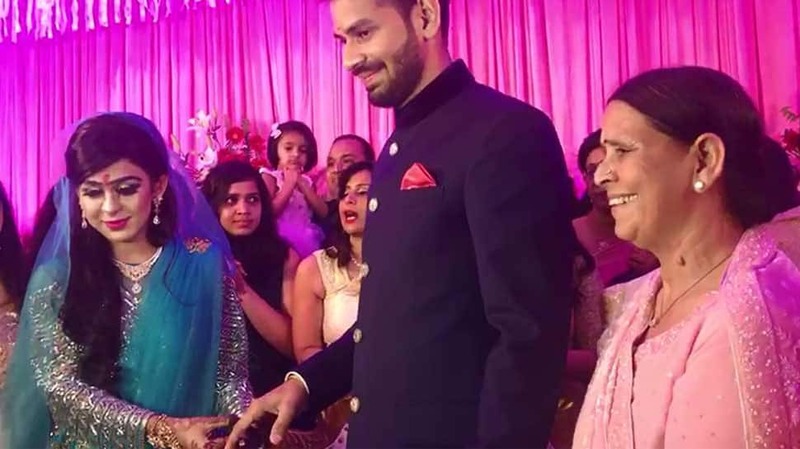 Aishwarya and Tej Pratap got married on May 12, 2018, in Patna. The starry event was attended by the high profile politicos. A picture of Tej Pratap taking Aishwarya Rai for a bicycle ride in Patna after their wedding went viral on the internet recently.